In May 2008, at the 90th anniversary celebration of the end of Finland’s Civil War, organisers were surprised that the Finnish President Tarja Halonen didn’t show up. Instead, the social democrat stateswoman was at a different ceremony at Tammisaari, commemorating the losing side. Her point, subtly and quietly made, was that she was not skipping the commemoration at all, but merely a commemoration, of a history that had many perspectives and narratives, victors and victims. The Finnish Civil War of 1918 caused 38,000 deaths in a few short months, only a third of whom fell on the battlefield. Another third were executed or murdered by kangaroo courts; the rest died in prison camps after the war was over – of disease, hunger or violence. Halonen’s attendance at a ceremony for dead POWs restated the case for the Civil War as a national tragedy, the narrative of which has been dominated for decades by the victorious Whites. History, after all, is written by the winning side, and those Reds that did not die in the conflict often exiled themselves thereafter from the telling of the tale. Some emigrated to the United States and forgot they were Finns at all. Some flocked to the Soviet Union, where they mostly saw their socialist dreams savagely crushed – not for nothing, the spiteful Finnish joke that Stalin was a great man because he killed a lot of Commies. Others faded into the general population, while the anti-Soviet Whites dominated the government, the army and the history books. In their book, The Finnish Civil War 1918: History, Memory, Legacy, editors Tuomas Tepora and Aapo Roselius chronicle the many faces of Finland’s bloody national birth trauma, in which the new republic briefly became the high tidemark of Soviet revolution in Europe, before Mannerheim and his White Guards (with the oft-redacted assistance of German allies) retook the south. This collection of academic authors regards the war as a terrible national hysteria that divided families, set neighbours at each other’s throats, and offered handy excuses for outlaws and murderers to settle petty scores. 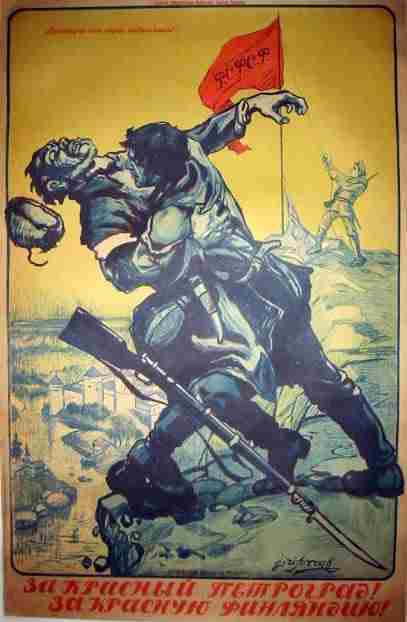 There was also, of course, the heartfelt political beliefs of the two sides – the German-supported Whites swelled with a desire for liberation from Russia, and the Reds with their faith in the Soviet dream. Girls with guns, it transpired, were largely a Red Thing, most memorably the 15-year-old amazon Laura Alanen who favoured men’s clothes and long, flowing locks, and who was apparently a sight to behold at the head of a column of armed cavalry. In the trials and putsches that followed the White victory, Red women in trousers were treated as combatants; Red women in skirts were regarded merely as collaborators. 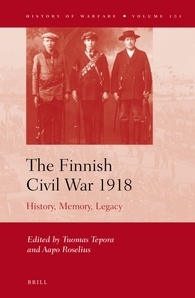 The book also features a fascinating chapter on the irredentist battles of the late 1910s and early 1920s, in which Finnish nationals participated in wars elsewhere. Most notable among these is the Estonian War of Independence, in which Finns fought on both sides, including a detachment of Red Finns fighting alongside Chinese soldiers at the Battle of Paju – some Chinese labourers in Tsarist Russia, shipped into Finland to fortify Helsinki at the outbreak of WW1, became mercenaries after the Russian Revolution. There are reports of some Chinese fighting in the ranks of both the Whites and the Reds in the Finnish Civil War, apparently chiefly honghuzi (“red beard”) bandits from Manchuria, that same breed of irregulars who formerly rode alongside a young Mannerheim during the Russo-Japanese War. As Tarja Halonen’s controversial no-show attests, the story of the Finnish Civil War continues to echo and ripple today. Tepora and Roselius’s book is particularly good on the historiography of the conflict, and the fluctuating fortunes of the combatants in national memory. I have already written much about the White story of Finland’s formation. Writing the Red version is substantially harder, not for lack of sources, but because the likely readership is supposedly dead or underground, or now carries a foreign passport and has largely forgotten its Finnish roots. Essays in this collection explain why, noting the way that the White story has not only slapped down many alternate views, but also reached into the past to retcon it. It was the post-war White Guards, for example, who changed the name of their society magazine to Hakkapeliitta, associating themselves with warriors of the 17th century and thereby implying that they were not only inheritors of Finnish tradition, but its founders. 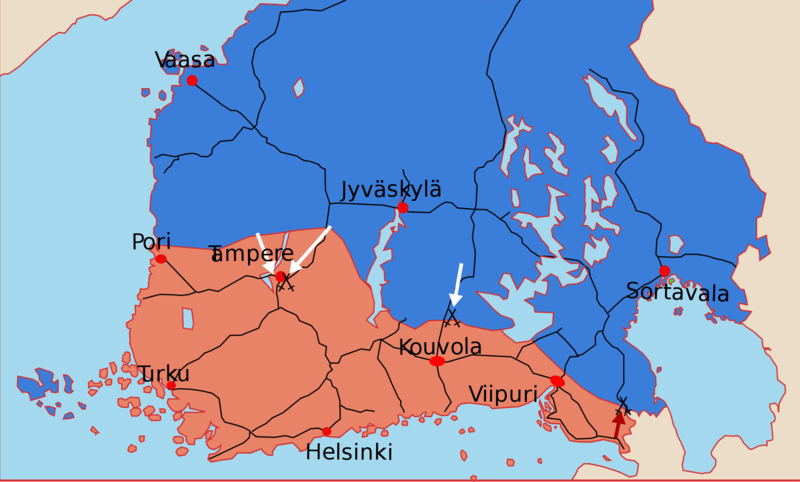 It is not until after WW2, which itself augmented the Civil War story by proclaiming both sides to be reconciled against a common enemy, that the Reds start to get their due in fiction, with works such as The Unknown Soldier and Under the North Star presenting them as humans, and more importantly, as Finns. As for the facts, there are heartbreaking stories like that of Algot Untola, the dedicated editor of the Red newspaper Työmies (“The Worker”) who stayed in Helsinki to single-handedly edit the last edition for a readership that was already dead or fled. Captured by the Whites, he leapt from the deck of a ferry heading for Suomenlinna prison, and was shot as he tried to swim away. But there are also witty tales of daring, like the massive stone memorial to the Reds which suddenly materialised in a Turku graveyard in the 1920s. It had been dragged there overnight by cheeky stone masons, who sneaked it in by knocking down the wall and then rebuilding it before anyone noticed. The most telling memorial of all is a lonely statue of Mannerheim, sitting in a forest. Commissioned in Whiter times, it was delivered to a newly Red-leaning council in post-war Tampere, which refused to put it in the centre of the town he had once bombarded. Instead, they dumped it quite literally in the middle of nowhere, where it stares grimly today at an audience of squirrels and sparrows. This entry was posted in News and tagged books, Finland, Finnish Civil War, Mannerheim by ixarette. Bookmark the permalink.